When you use Microsoft Outlook as your email client, your email messages, contacts, appointments, task, notes are automatically saved in a personal storage folder (also known as a .pst file). Backing up your Outlook data is an important job especially if your computer crashes or if your want to transfer them to a new computer. In this article, I explain how to easily backup Outlook mail messages and then restore (or transfer) them to another Windows-based computer. Click Start, and then click the Control Panel. In the upper right corner of the Control Panel, click the pull-down menu and choose Small Icons. Double-click on Mail. The Mail Setup window should be open now. Click on the the Data Files button. 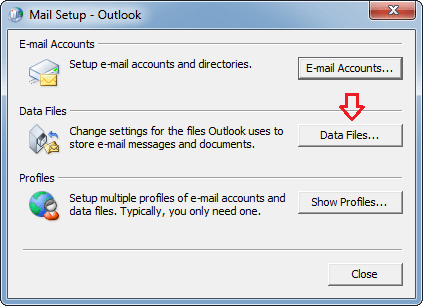 In the Account settings window, select a mail account (in case of multiple ones) and click on the Open Folder button. 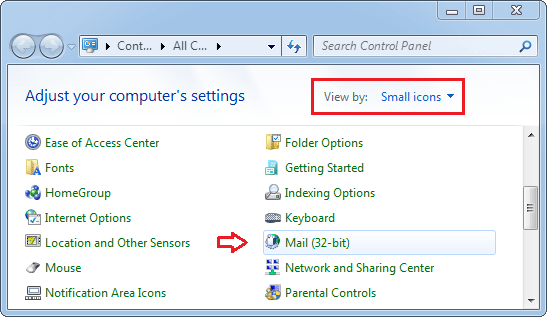 Windows Explorer will open to the Outlook .PST file that contains mail messages for your selected mail account. 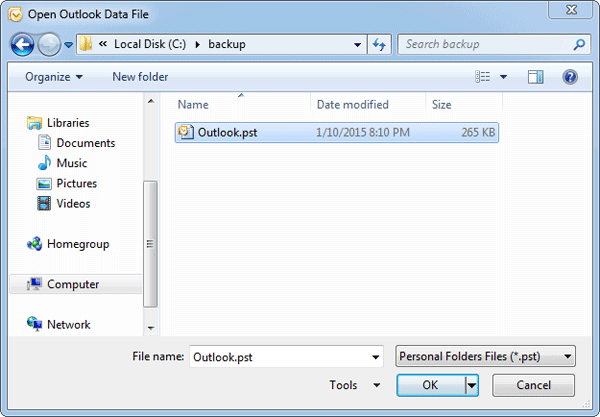 With Outlook closed and the folder open, copy the .PST file to a safe location, such as an external hard drive. Better yet, make sure that your regular backup routine includes this folder. 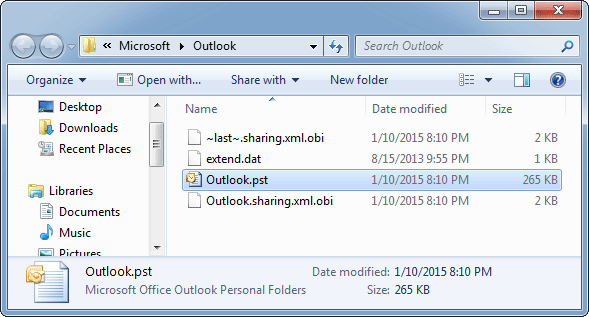 Here is how to import the .PST file back into Outlook to gain access to your mail messages again. 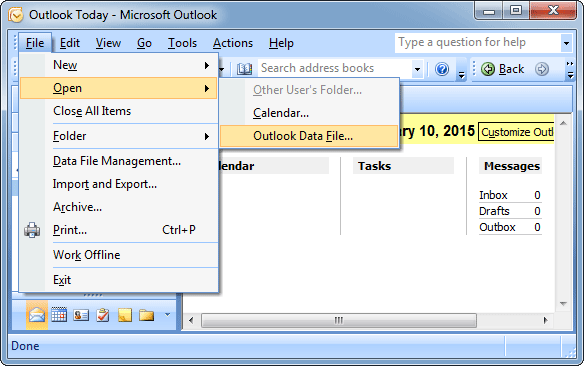 In Outlook application, click the File menu. 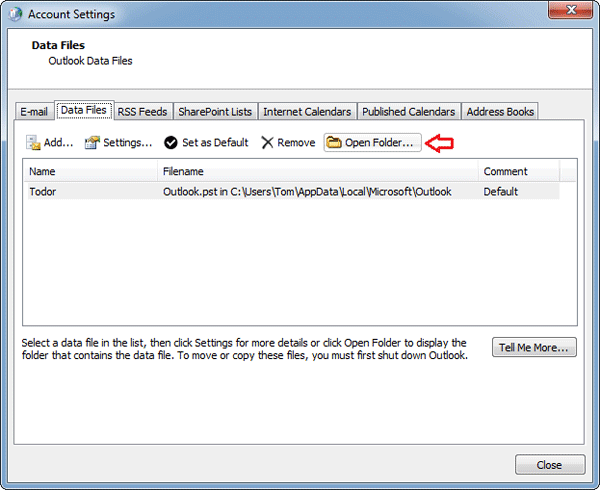 Navigate to the Open sub-menu, then click Outlook Data File. Navigate to wherever your .PST file is located. Select the PST file you backed up previously and click OK.
Once restored, you’ll be able to browse and view all items including mail messages inside your selected PST file.